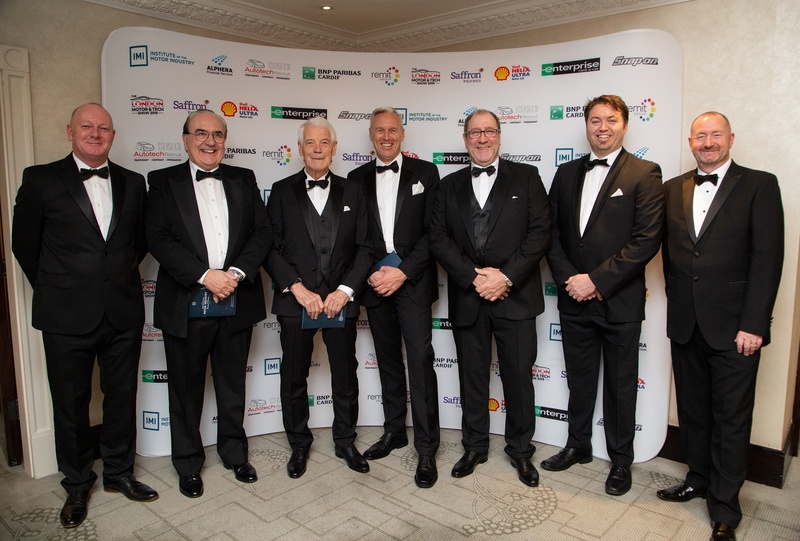 The UK organisation, the Institute of the Motor Industry (IMI) has honoured founder and managing director Rolf Lucas-Nülle for his services to the automotive industry. Prince Michael of Kent presented him with the HON FIMI Award in London and declared him an honourable fellow of IMI. In his laudatory speech, Steve Nash, CEO of IMI, praised Rolf Lucas-Nülle's 50 years of service. Nash described to those present how the company founder built up an international company for vocational training out of his own basement. Rolf Lucas-Nülle started out as a trainer in the field of automotive training with the first company he founded, INTEA. During this time he began to develop technical systems to make the topics of his seminars practically tangible. It was out of this endeavour that Lucas- Nülle GmbH emerged. Both companies are still to this day part of the globally active Lucas-Nülle Group. Rolf Lucas-Nülle accepted the award with joy and says: "The appointment as Honorary Fellow honours me very much. I perceive the title as a justification of my life’s work and the learners worldwide should continue to benefit from our systems". Lucas-Nülle is currently working together with the IMI to offer new certified automotive programs. The LN Academy together with IMI, is able to offer certifications for schools and institutions around the world, starting with international electric vehicle standards and certification and moving toward light vehicle technician qualifications.